So wrote Voltaire in his account of the reign of Louis XIV, published in 1751. It’s still true today, apparently – a bit of a fuss has been made in the past few weeks about a BBC drama series called Versailles. Set during the reign of the French Sun King and controversially made in English, it seems to be aimed at the audience for the historical romp genre (The Tudors, Rome), with plenty of see-through dresses and glossy hair. ‘Noémie Schmidt plays Henriette (underneath), wife of Philippe and mistress of Louis (above).’ A scene from the BBC series Versailles. Image and caption: Daily Telegraph. The show itself seems to be pretty much what you’d expect from the genre. Every lurid allegation of life at court which has surfaced over the past 300-odd years has been trussed up and ornamented, to choruses of ‘for shame!’ from the Daily Mail, while familiar faces on the media history circuit are produced to give academic credibility to every unlikely-sounding anecdote. An affair between the king and his sister-in-law? His brother’s homosexuality and transvestism? Queen Marie-Thérèse, famous for her Catholic piety and lack of interest in carnality, giving birth to a dark-skinned, apparently illegitimate baby? The programme makers are playing a mischievous game with us: simultaneously wanting us to gasp in horror while reassuring us of their interest in historical veracity. No need to bother with plausibility, then – (alleged) truth despite its implausibility is the trump card here. 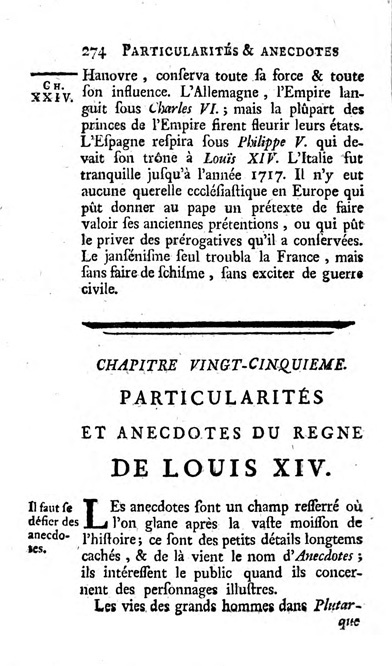 Siècle de Louis XIV, 3 vol., 1768, vol.2, p.274. We have a rich supply of this gossip, partly because of the success of Louis XIV at keeping his nobility within the confines of his enormous palace at Versailles. Quite a few of them kept almost daily diaries detailing who was rumoured to be sleeping with whom, pregnancies, illnesses, squabbles… Voltaire included several chapters of anecdotes in his Age of Louis XIV, which he introduces with the observation: ‘We had rather be informed of what passed in the cabinet of Augustus, than hear a full detail of the conquests of Attila or Tamerlane.’ And who wouldn’t? Voltaire’s chapters of anecdotes represent the private history of the king and his entourage as people, in contrast to the previous twenty-four chapters of public events: wars won and lost, peace treaties, alliances and so on. Voltaire deliberately carves out a space in his monumental history of the reign for these ‘domestic details’, but he also warns the reader to weigh up the sources when deciding when something is true or not. Although he admits that they are ‘sure to engage public attention’, in a later edition he adds a marginal note at this point: ‘Beware of anecdotes’. The real domestic details are ultimately unknowable, of course, but anyone can and does imagine what might have happened in a bedroom, a birthing chamber, a salon. The temptation to fill in the gaps and invite a 21st century audience to experience this private space in simulation is, I think, what has proved so tantalising both to the creative impulses of the script-writers and the voyeuristic ones of the audience. Voltaire had known the Palace of Versailles since his thirties, when he prepared a divertissement there to celebrate Louis XV’s marriage in 1725. Some twenty years later he was a frequent visitor as Royal Historiographer. Yet when one consults Michel Baridon’s definitive Histoire des jardins de Versailles (Arles, 2003), one finds surprisingly few references to the philosophe. The reason is not far to seek. Voltaire’s view of the Palace, particularly during his time as Historiographer, is highly ambivalent, often verging on distaste or worse. 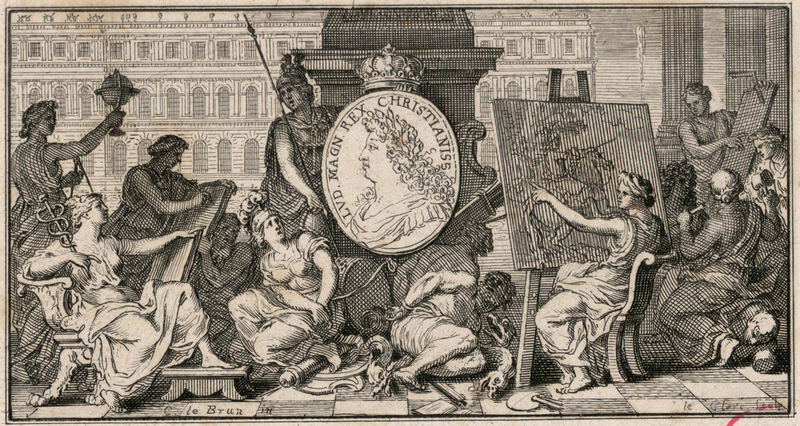 Despite (or even because of) the emoluments he was receiving from the King, he felt himself ‘enfourné dans une bouffonnerie’, where, as ‘bouffon du roi à cinquante ans’, he is involved in futile occupations ‘avec les musiciens, les comédiens, les comédiennes, les chanteurs, les danseurs’, or otherwise rushing to and fro between the capital and the Château. ‘Je cours à Paris pour une répétition, je reviens pour une décoration’. Many a modern-day commuter would sympathise. Though the fêtes are sometimes even more spectacular than in Louis XIV’s time, it all amounts simply to ‘des feux d’artifice dont il ne reste rien quand ils sont tirés’. In the Italian language that he reserves for many of his intimate letters with Madame Denis, he expresses himself unreservedly; Versailles is ‘un paese che io abhorrisco. La corte, il mundo, i grandi, mi fanno noia’ (‘un pays que j’abhorre. La cour, le monde, les grands m’ennuient’). But, more relevant to our enquiry here, what did Voltaire feel about the gardens themselves? Did he sometimes gaze in wonderment upon, say, the Grand Canal or the two Trianons? If he did, he seems not to have left any record. Perhaps the closest we can get to an answer is what he tells his friend Cideville about how he spends his time journeying between Versailles and Paris: ‘je fais des vers en chaise de poste’. No trace of ‘recueillement’ there! Versailles meant nothing but work, with the occasional theatre or spectacle as diversions. Specific mentions of these gardens are rare in his works. Comment upon the Ingénu’s walk there, ‘où il s’ennuya’, is trenchant. A letter to Thiriot includes them, but only metaphorically, when he comments in relation to the tragedy Sémiramis that ‘ses jardins [the heroine’s] valaient bien ceux de Versailles’. But in Le Siècle de Louis XIV, where Voltaire seeks to encompass every aspect of the reign, he cannot afford to omit any reference to the Versailles gardens. However, details here too are scarce. The architect Jules-Hardouin Mansard ‘ne put déployer tous ses talents’ at Versailles, for ‘il fut gêné par le terrain, et par la disposition du petit château’. In a generic conclusion about ‘l’art des jardins’, nothing is said about Versailles, though the designer Le Nôtre is cited ‘pour l’agréable’ as too is La Quintinie ‘pour l’utile’. The antithesis appears to be set up for aesthetic rather than objective purposes. 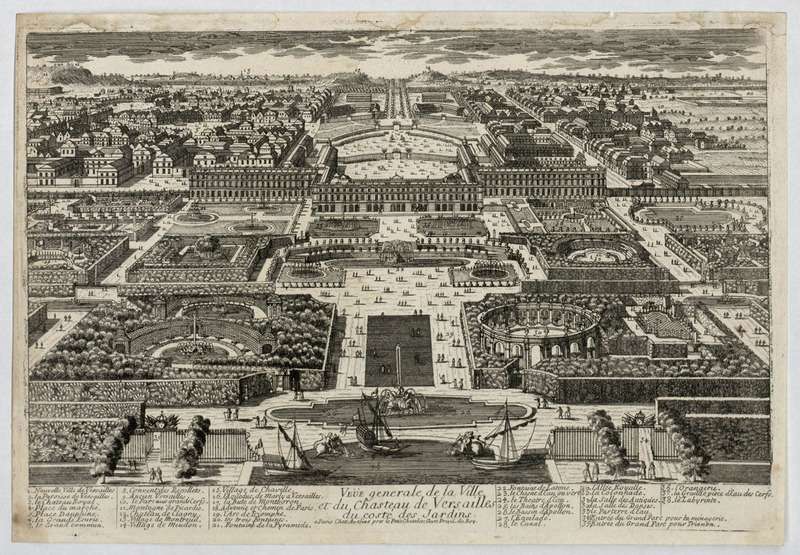 Earlier, discussing the 1680s, he links up Versailles with Marly in a broadly dismissive comment: ‘la nature forcée dans tous ces lieux de délices, et des jardins où l’art était épuisé’. But are there any conceivable allusions to Versailles in any discussion of gardens in general? Here too material is scanty, even in the ‘contes’. But one work stands out: Candide, exceptional in this as in so many other ways. The tale contains no fewer than five different gardens: Thunder-ten Tronckh; Eldorado; Pococurante’s palace and the old Turk’s ‘vingt arpents’, leading up to Candide’s ‘petite métairie’. For our purposes, most of these can be quickly disposed of. The Westphalian château is an ‘anti-jardin’, based on spurious concepts. Pococurante’s domain is an exercise in disillusion; a garden does exist, but it contains no more than ‘des colifichets’. Tomorrow its owner plans to start work on it, but prospects do not sound auspicious, as Martin realises; its ‘lendemain’ belongs to the same perspective as Godot. But the other three are somewhat less skeletal. The Turk’s domain is purely pragmatic, and capable of delicious luxuries. Candide’s ‘petite terre’ copies these principles with apparent success, though the ending is shot through with irony. But neither of these evokes any suggestion of Versailles. Only with Eldorado may one discern some recollections of the great Château. Much emphasis is laid upon wealth and abundance of many kinds, some of this stress on luxury recalling similar accounts in Le Mondain. More piquantly, the King is intelligent, witty and socially adept; memories of Versailles hover. But once again, physical details are remarkable by their scarcity. While we know that the size of the Palace portal is precisely 220 x 100 feet, we know nothing about its substance: ‘il est impossible d’exprimer quelle en était la matière’. Irony predominates here, as everywhere else in Candide. Physical description is no more than its handservant. 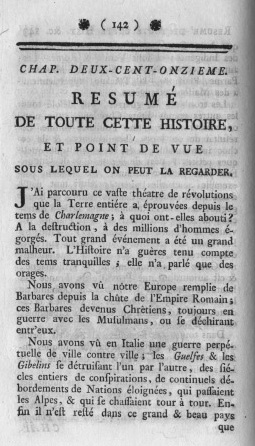 Voltaire to the d’Argentals, 18 January 1745. Voltaire to Cideville, 31 January 1745. Voltaire to Mme Denis, 2 December 1745. 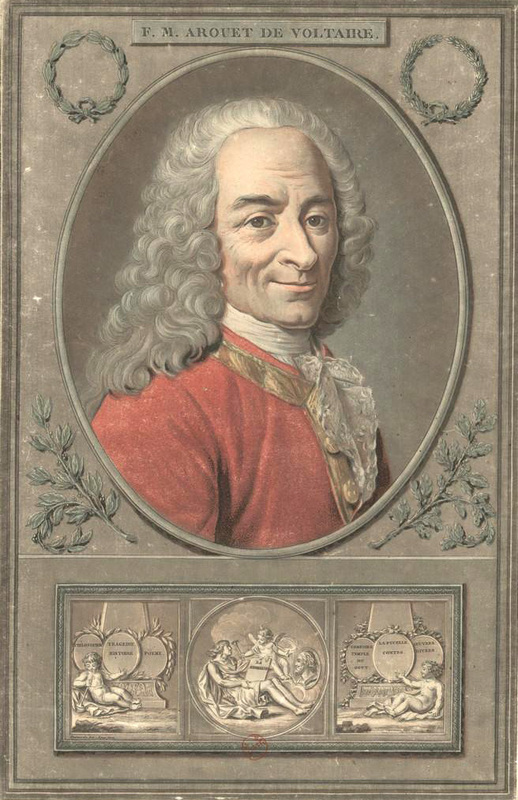 Voltaire à Podewils, 8 March 1745. L’Ingénu, chap.9 (Œuvres complètes de Voltaire, Voltaire Foundation, Oxford, vol.63c, p.247-48). 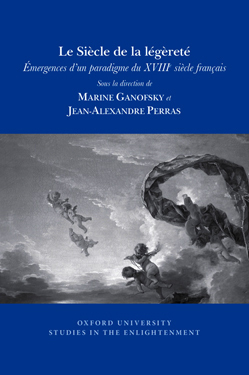 Le Siècle de Louis XIV, in Œuvres historiques, ed. R. Pomeau (Paris, 1957), p.1219-20. Baridon makes no mention of this. 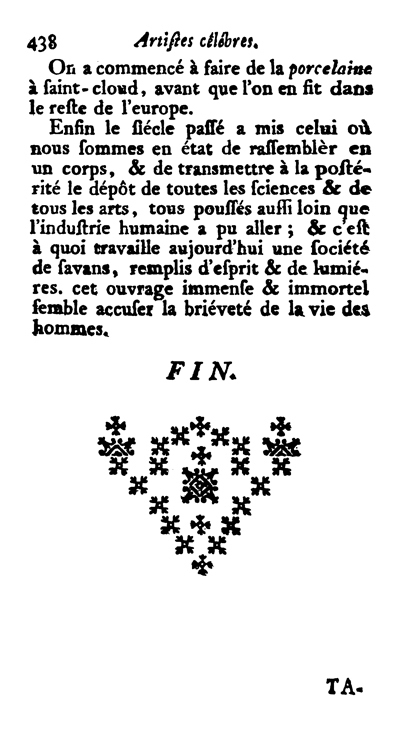 Le Siècle de Louis XIV, p.1220. Le Siècle de Louis XIV, p.930-31. A useful article has appeared on this topic: P. Henry: ‘Sacred and profane gardens in Candide’, SVEC 176 (1979), p.133-52. The present study addresses a more limited aspect. 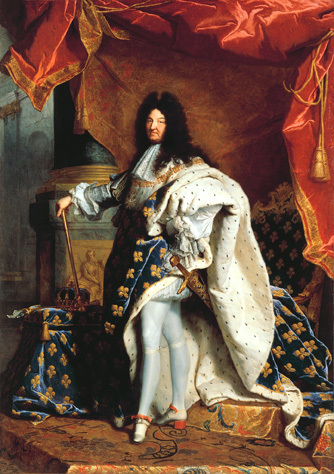 Portrait of Louis XIV by Hyacinthe Rigaud. 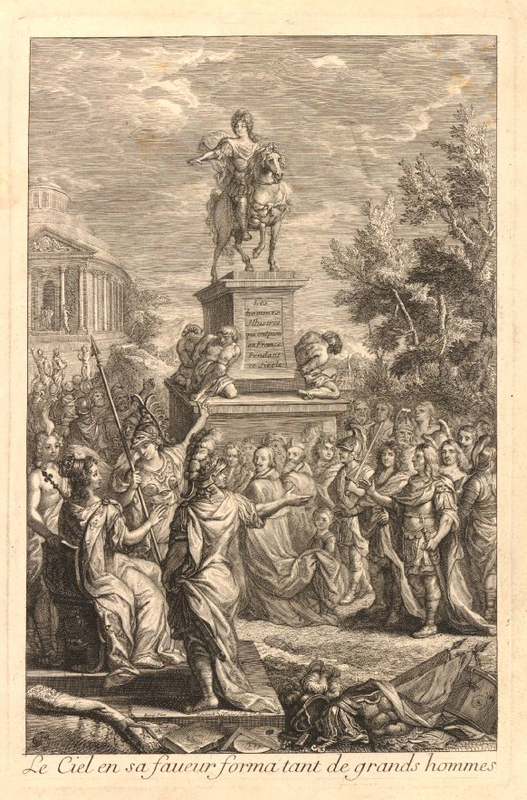 In 2015, the tercentenary of the death of Louis XIV, the VF is delighted to be launching our publication of Voltaire’s seminal Siècle de Louis XIV, critical edition by Diego Venturino of the Université de Lorraine. We are very proud to be doing so with the generous support of the Centre de recherche du Château de Versailles. As part of our partnership, we are doing something completely new for OCV and the VF in producing an illustrated edition of the Siècle. Each chapter will benefit from at least one image from the rich collections of the château de Versailles, the full extent of which are rarely seen by the public. Valérie Bajou, specialist curator at Versailles came to Oxford in the autumn, bringing with her an entire filing cabinet (almost!) full of the results of her research. 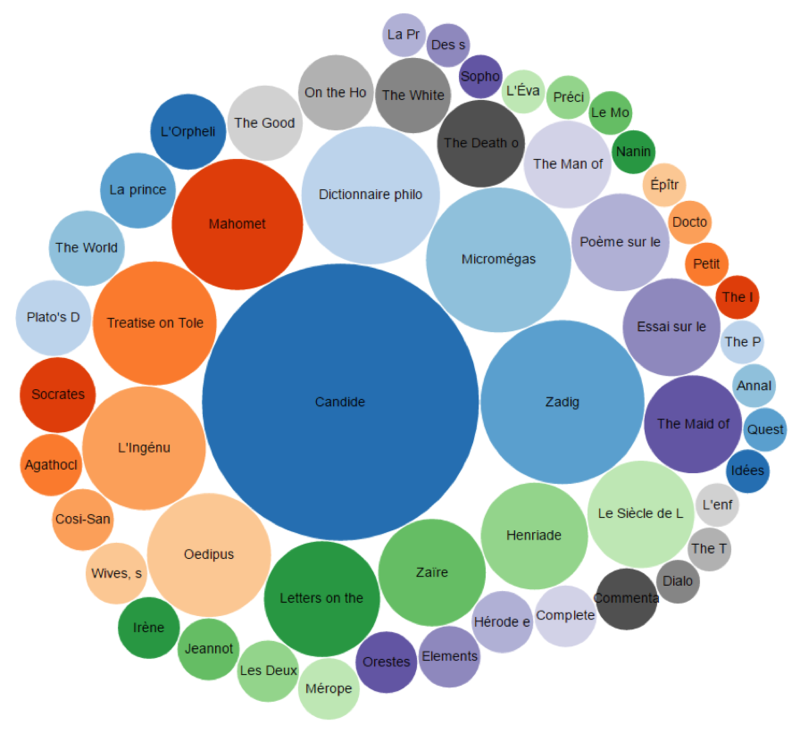 Alongside the VF team, and with valuable input from our scientific editor, Diego Venturino, we compiled a shortlist for each of the thirty-nine chapters of Voltaire’s text. We had to work within certain technical constraints, and so concentrated on engravings (for better quality reproduction in black and white), prioritising portrait format over landscape to fit with the dimensions of the book, and preferring contemporary representations to more recent renditions. Attrib. 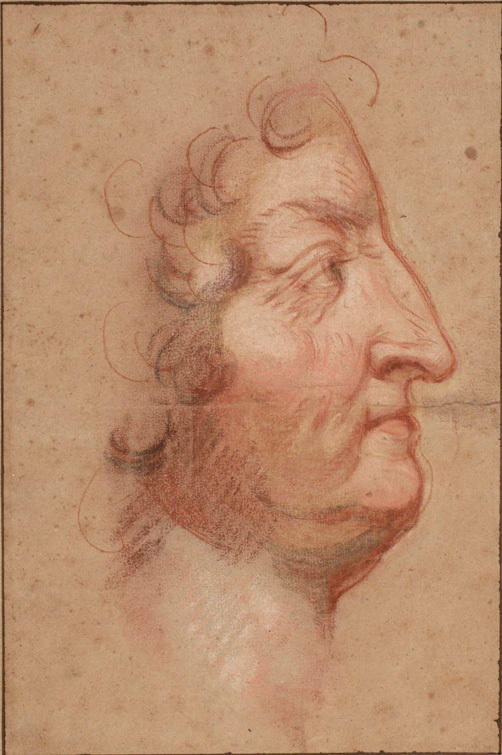 Antoine Benoist (1632-1717), Portrait de Louis XIV, lead pencil, sanguine and white chalk © Château de Versailles, Dist. RMN / © Jean-Marc Manaï. We tried not to simply show a succession of portraits of famous people, including in addition allegorical prints, depictions of battles and even diagrams. Some chapters gave us more trouble than others: we found plenty to choose from in those chapters dealing with the Sun King’s many military successes; but, unsurprisingly, rather less choice for chapters such as number 21, ‘Suite des disgrâces de la France…’ We found a beautiful and very human drawing of the king in extreme old age which contrasts wonderfully with the famous Rigaud portrait of him resplendent in full-wigged, red-heeled glory. 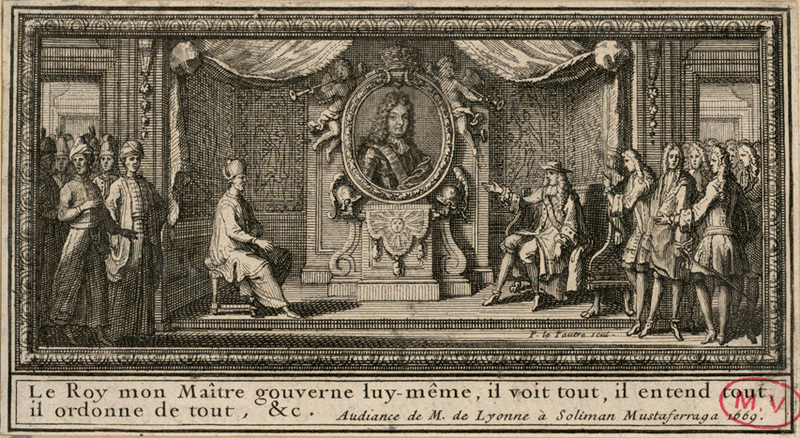 Pierre Le Pautre (1652-1716), Le Roi mon Maître gouverne lui-même, il voit tout, il entend tout, il ordonne de tout, 1669, burin et eau-forte © Château de Versailles. It has been such a pleasure to discover the treasures of the Versailles image collection, and a privilege to work with all the knowledgeable people there who are helping us to make this edition one of the most beautiful so far in the OCV series.